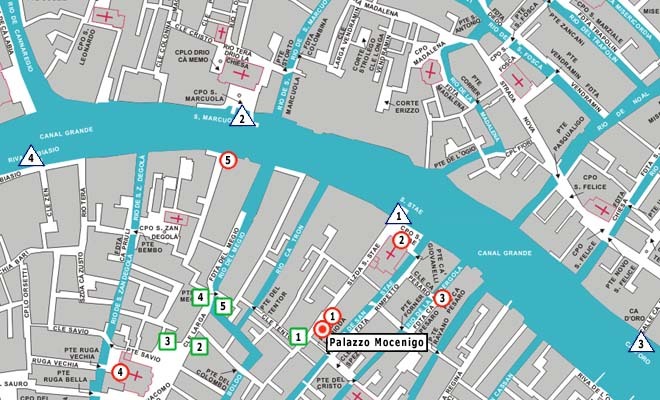 Venice Hotels Guide See Ca' Mocenigo on the interactive Map of veniceXplorer. From the 17th century, this palace was the residence of the San Stae branch of the Mocenigo family. 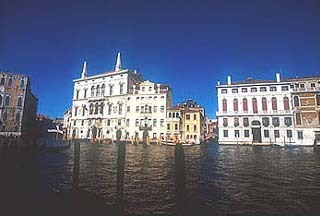 Mocenigo family is one of the most important families of the Venice. Seven members of this famous family became doges between 1414 and 1778. This large building was originally built in a gothic style but it was extensively rebuilt at the beginning of the 17th century and got its present appearance. Several famous personalities of yesteryear, like Lord Byron, Thomas Moore, Lady Mary Wortley Montague, etc. stayed here as guest. 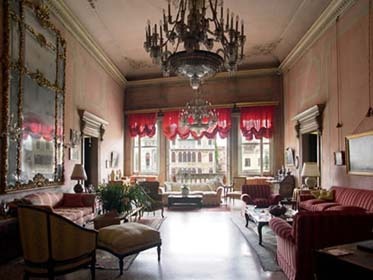 The remarkably well-preserved 18th-century interior and decor offer visitors an almost unique opportunity to explore for themselves the inside of a classical patrician mansion. In 1945 Count Alvise Nicolò Mocenigo, the last descendant of the family, donated this palace to the city of Venice to be used "as a Gallery of Art, to supplement Museo Correr". 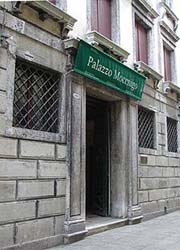 In 1985 the overall project of the Civic Museums designated Palazzo Mocenigo as the seat of the Museum and Study Centre of the History of Fabrics and Costumes: it contains the rich collections of ancient textiles and costumes mostly from the Correr, Guggenheim and Cini collections and the suppressed Fortuny Centre of Palazzo Grassi. Palazzo Mocenigo also contains a well-stocked library specialising in the history of fabrics, costumes and fashion. The library is situated in the rooms on the first-floor piano nobile that have not conserved their original furnishings; the stocks of fabrics and costumes are situated on the first mezzanine and on the top floor. On the second mezzanine an area has been set aside for didactic and experimental activities. The remainder of the building will be opened once the necessary restoration work is finished. The collection of this museum is laid out in the rooms of the first piano nobile (first floor) of the palazzo, with an ample selection of garments and accessories. As far as possible, the pieces are laid out in such a way as to illustrate changing tastes in both fashion and furnishings, underlining analogies in colour, line and decorative motif between these two related areas of design. 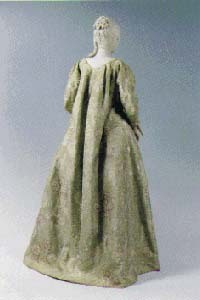 Mainly of Venetian origin, the garments and accessories are in “worked” fabrics which are often embellished with lace and embroidery. They are a fine illustration of the skill of those numerous artisans (weavers, tailors, lacemakers, embroiderers, etc.) who made such a contribution to that refined luxury and elegance for which the Venetians of the day were famous. Ca' Mocenigo PDF printable Version.